The reason why many investors are always on the lookout for top investment plans where they can double their money in few months or years with little or no risk. There are two buckets that investment products fall into – financial and non-financial assets. Financial assets can be divided into market-linked products (like stocks and mutual funds) and fixed income products (like Public Provident Fund, bank fixed deposits). Non-financial assets – most Indians invest via this mode – are the likes of gold and real estate. If you are looking for a long-term investment option, a public provident fund, popularly known as a PPF, is the safest option for you. The best part about investing in a PPF is that you aren’t required to pay tax on the interest you earn from PPF. When you open a PPF account in a bank, the money you deposit gets locked for a period of 15 years. You earn compound interest on this locked money. If you are happy with the returns, you can even go for an extension of another five years. The only drawback of investing in a PPF is that you cannot withdraw the money before the completion of at least 6 years. In case you need the money, you can borrow a loan from the bank on the balance in your PPF account. Mutual Funds are highly popular, and arguably the best long-term investment options. They are a common pool where many investors put their money in equities and shares. Automatic diversification: By diversifying your capital across multiple securities or even asset types, a Mutual Fund significantly reduces your risk and helps deliver more stable, less volatile returns. Intelligent Investing: Mutual Fund schemes are run by fund managers with extensive experience in the markets. These fund managers research and study the markets before taking investment decisions for the schemes. This helps individual investors avoid the stress of trying to time or study the market too much. As an investor, you can buy any number of units of these mutual fund schemes at their prevailing rate – called the Net Asset Value (NAV). These can later be cashed out at higher Net Asset Value (NAV) for a profit, provided market conditions have been favorable. 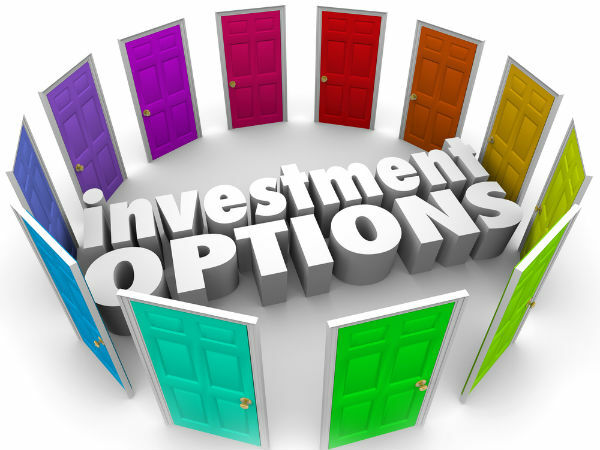 Most mutual fund schemes have no minimum investment period which makes them quite popular among investors. The National Pension System (NPS) is a long term retirement – focused investment product managed by the Pension Fund Regulatory and Development Authority. The minimum annual (April-March) contribution for an NPS Tier-1 account to remain active has been reduced from Rs 6,000 to Rs 1,000. It is a mix of equity, fixed deposits, corporate bonds, liquid funds and government funds, among others. Based on your risk appetite, you can decide how much of your money can be invested in equities through NPS. Currently, the 1-,3-,5-year market return for Fund option E is around 9.5 percent, 8.5 percent, and 11 percent, respectively. A bank fixed deposit (FD) is a safe choice for investing in India. Under the deposit insurance and credit guarantee corporation (DICGC) rules, each depositor in a bank is insured up to a maximum of Rs 1 lakh for both principal and interest amount. As per the need, one may opt for monthly, quarterly, half-yearly, yearly or cumulative interest option in them. The interest rate earned is added to one’s income and is taxed as per one’s income slab. When you invest money in equity shares, historical data should suggest that you will earn higher returns than that of many other assets. The risk is directly proportional to the returns, which means that there is a high amount of risk involved. The shares are expressed in terms of face value and market value. Before investing in equities, you should know how to perform a thorough analysis of the company or sector you’re choosing to pick. This is to make sure that the expected returns align with your personal wealth goals. If you are planning for long-term investment i.e over 5-10 years, you’re likely to generate a good amount of returns in the equity market, making this an attractive option. The location of the property is the single most important factor that will determine the value of your property and also the rental that it can earn. Investments in real estate deliver returns in two ways – capital appreciation and rentals. However, unlike other asset mutual funds invest not only in equities and shares, but also in debt instruments to balance market risks. Possessing gold in the form of jewellery has its own concerns like safety and high cost. Then there’s the ‘making charges’, which typically range between 6-14 per cent of the cost of gold (and may go as high as 25 percent in case of special designs). For those who would want to buy gold coins, there’s still an option. One can also buy ingeniously minted coins. An alternate way of owning paper gold in a more cost-effective manner is through gold ETFs. Such investment (buying and selling) happens on a stock exchange (NSE or BSE) with gold as the underlying asset. Investing in Sovereign Gold Bonds is another option to own paper-gold. If you are looking at a safe investment option, you should also consider the post office recurring deposit. The interest rates have dropped recently, but, this is a great option for investors looking at building a corpus for the long term. The one disadvantage that is worth mentioning is that these deposits are very much taxable in the hands of the investors. However, there are relatively safe, if you have a long term perspective in mind. We suggest that you invest for at least 5 years, so as to lock interest rates at higher levels. This is a great option for the salaried class. Currently the PO RD fetches 7.3% interest rate per annum for tenure of 5 years.